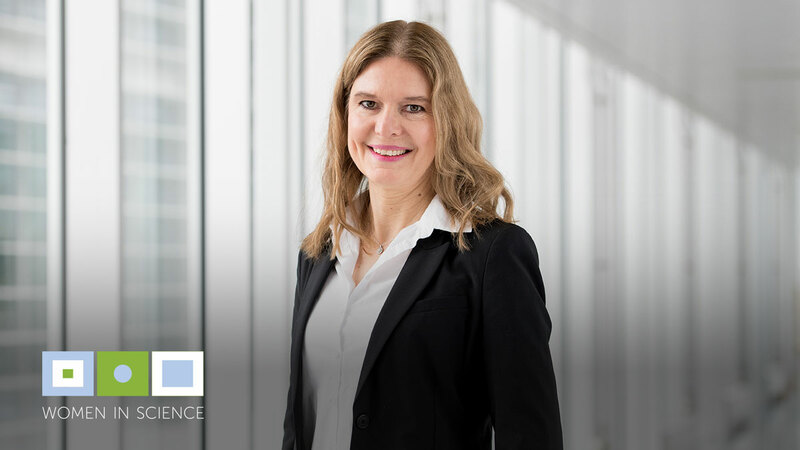 Maria joined AstraZeneca in 2017 as head of Respiratory, Inflammation & Autoimmunity in the Innovative Medicines and Early Development (IMED) Biotech Unit. In her role she leads early-stage research and development in chronic diseases of the lung – such as asthma, chronic obstructive pulmonary disease, idiopathic pulmonary fibrosis and chronic cough, with a focus on three areas: lung epithelium, lung immunity and lung regeneration. 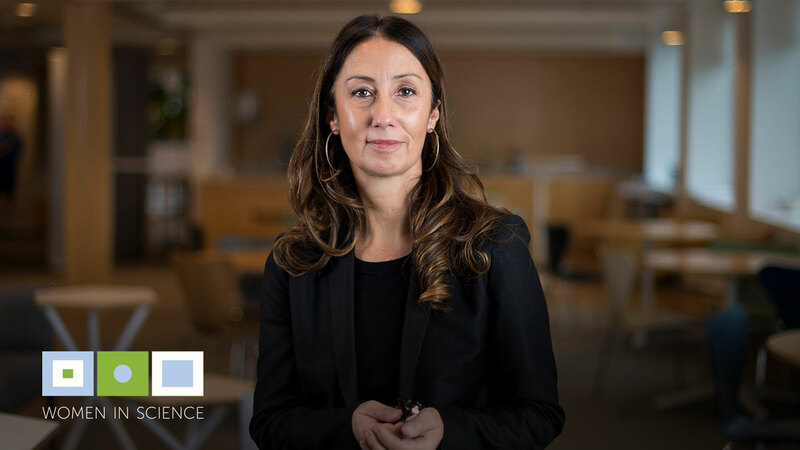 Alongside her role at AstraZeneca, Maria is also professor of respiratory pharmacology and head of the Respiratory Pharmacology Group at Imperial College London. What are your ambitions within life science? I joined AstraZeneca in September 2017 and this is my dream job, leading respiratory research up until phase 3 clinical trials for one of the largest respiratory-focused global biopharmaceutical companies. My role gives me the opportunity to drive the science in the direction of new medicines for patients with some of the greatest unmet need. I am looking to grow and develop the respiratory portfolio with the early and late stage teams at AstraZeneca and this fulfils my current ambitions. I also retain my academic position as a professor at Imperial College London, where my research is focused on the basic mechanisms that drive chronic cough. Both roles are exciting, challenging and all-consuming. What has been the biggest challenge you have had to overcome in your career and what did you learn from it? One of the hardest challenges was being successful within the academic environment. I was one of the first non-clinical female professors in my institution under the age of 40. However, in order to achieve this, I had to overcome an institutional block. When my career progression was limited I revisited my career options, left academia and moved to industry. I spent almost four years in industry and two years after returning to the same academic institution I became one of the youngest female professors. A combination of the experience I had gained but also the internal climate enabled this transition, which would not have happened had I stayed. Do you think there is a ‘glass ceiling’ in the life sciences industry? My first period in pharma was between 1997 and 2000 in a world where senior management was dominated by men and there definitely was a glass ceiling. 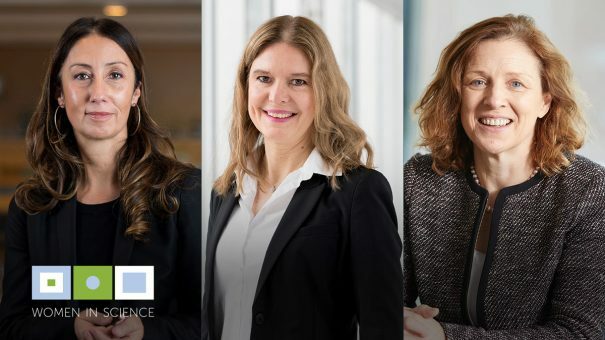 I re-entered industry in 2017 and the world has changed, with female representation at the highest levels in senior management here at AstraZeneca. While progress has been made across the industry, more still needs to be done – for example, there is still a gender pay gap. What advice would you give to girls or young women who are contemplating a career in life sciences? My career path has taught me that the key factors for women or men to be successful are self-motivation and belief, hard work, teamwork, and a supportive boss. These factors boost your chances of success regardless of being in industry or academia. If there is no support from line managers, then a strong and able mentor can be invaluable. If there is an institutional block to your career progression, consider a sideways step. What do you think are the most exciting developments in life science? In my area, I am particularly interested in new treatment modalities which will allow us to target disease relevant pathways that previously could not be prosecuted with large molecule antibody or small molecule approaches. Often there are drug delivery challenges with new modality treatments and the lung provides opportunities for therapies to be delivered via inhalation directly to the target organ, which offers a unique environment for successful administration. Regina Fritsche-Danielson is accountable for both the small-molecule and new modalities research from early target identification through clinical proof-of-concept, with a research strategy focused on three key areas with high unmet medical need: heart failure, diabetes and chronic kidney disease. Regina joined AstraZeneca in 2001 and has held numerous strategic leadership roles within the cardiovascular therapeutic area, as well as leading projects from target discovery up to first dose in phase 2a clinical trials. Regina received her PhD in Cardiovascular Physiology/Pharmacology from the University of Gothenburg, Sweden. What inspired you to work in the life sciences industry? For my PhD I studied how organs function in different animals, in particular in animals where evolution has impacted their organs to function under different conditions and in extreme environments. Such adaptations are similar to the adaptations that happen during disease and I became interested in cardiovascular medicine, studying embryonic cardiovascular development to understand the potential of regenerative medicine to treat or cure ischemic heart disease. I was approached by AstraZeneca in 2001 and decided to leave academia eight years after my PhD. I really like challenges. I get bored if I don’t regularly have something that requires a bit extra. However, a major challenge was perhaps when my kids were young and my husband was travelling and I had to keep everything together. There are still very few women in most executive teams, although AstraZeneca is doing well in this respect. Usually women are seen in non-science roles in executive teams such as HR, finance, legal, or compliance, but less often in scientific roles. However, I still think it is possible if one wants to. I think many women are scared to make this step, mainly because there are fewer role models. They should do what they have a passion for and what gives them energy. They should learn as much as they can at every instance, ask questions, be curious, know their stuff. Work hard! It is important to invest time in learning and meeting people. Don’t underestimate this. Be kind, be yourself as you move forward in your career. Learn from others and invest time in the team and yourself. Be inclusive. So many exciting things are happening in life sciences: the rapid evolution of stem cell therapies that could help us cure degenerative diseases in the future, gene editing to cure life threatening genetic diseases, access to many new chemical or therapeutic modalities to hit any target which have previously been undruggable. Personalised medicines with diagnostic tools so we can identify which patients will respond to a specific therapy. Identifying risk markers early, for example for kidney disease, so we can treat early and stop progression to dialysis and kidney transplantation. Artificial Intelligence (AI) can help us understand disease drivers better, help identify targets and also help us design new molecules faster and with better properties, thereby shortening timelines to make drugs. Susan joined AstraZeneca in 2010 as head of oncology in the Innovative Medicines and Early Development (IMED) Biotech Unit. Since then she has been responsible for transforming the productivity and scientific output from Oncology. Since Susan joined AstraZeneca, four programmes have moved into phase 3 trials; and two are now approved in many countries around the world. Susan trained as a clinical oncologist in the UK. How can you see your career progressing from here and what are your ambitions within life science? My ambition is to change the way we treat cancer, and AstraZeneca is a great place to be able to achieve that. A critical focus for me in the drug development process is on ensuring quality target selection and engagement and selecting the right patients for treatment. 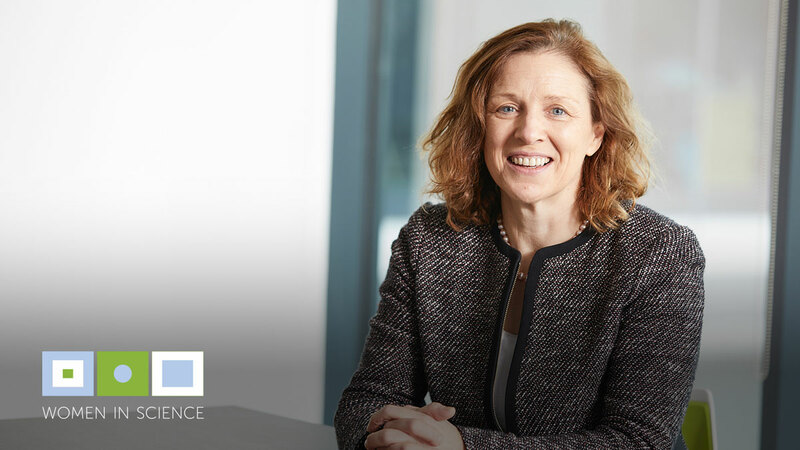 I am also ambitious for UK life sciences and to that end I enjoy my role as non-executive director on Horizon Discovery Board, which provides a perspective on the challenges and opportunities for building successful life science companies. The biggest challenge I have had to overcome is facing my fears. When I joined AstraZeneca, my biggest fear was that there might not be enough time to deliver R&D success before decisions would be taken to close sites. For example, when AstraZeneca R&D moved from Alderley Park in the north west to Cambridge, the team continued to deliver without missing a beat in terms of pipeline delivery. I learnt that, by addressing concerns and risks, effective solutions can be found, and I am immensely proud of the team that delivered through this period. If you have self-belief and use all the support available, women can exceed their own and other people’s expectations. There is a great deal of support to enable women to succeed and I can honestly say that I have never directly experienced discrimination. However, I recognise that we can go further to enable more women to achieve senior roles in the industry. The most challenging time for many women is when they have children and for some years after this. This is when there is the biggest drop off in the percentage of women making the next career steps. By investing in women’s careers at this point, with support and encouragement to enable them to gain the experiences and skills needed to take them to the next level, we can increase the pool of talent available to take on senior roles. Be ambitious and work to increase your self-confidence. It takes hard work and dedication, but this industry is delivering life-changing advances and that is a great reason to come to work. Learn to work effectively as part of a team, as this is one of the most rewarding parts of the job. And have fun!